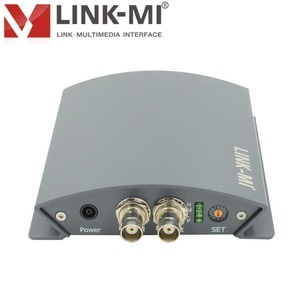 LINK-MI LM-PSH01 SDI to HDMI Converter SDI to HDMI Converter Support external analog audio inputs embedded in HDMI Key Words: 1080p to 1080i HD SDI Converter Model No. At the same time,LM-PSH01 SDI to HDMI Converter support de-embedded audio from 3G/HD/SD-SDI signal, output to HDMI and analog stereo ports. 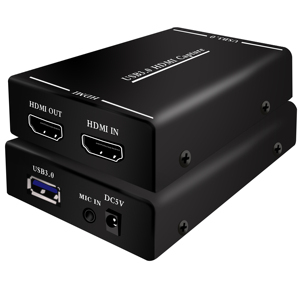 LM-PSH01 SDI to HDMI Converter also can support external audio input, external analog audio inputs can be embedded in HDMI. 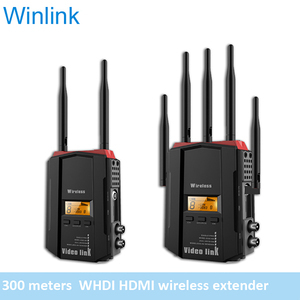 5ghz no latency 300 meters HDTV antenna wireless audio& video transmitter and receiver system with HDMI ,3G-SDI port Related Products The Wireless HD Video Link System WL9000 is for professional application in film & TV production and broadcasting industries. The system can be powered by Filming big batteries such as IDX or DC (two pin lemo). 5ghz no latency 300 meters HDTV antenna wireless audio& video transmitter and receiver system with HDMI ,3G-SDI port product description Product feature 1. Plug and play design, no software configuration required. The HDMICAT30RX&TX Extender use double cat-5E or cat-6(recommended) cables up to 60 meters instead of HDMI cable to transmit high definition signal, for cutting down cost. Our devices offer solutions for noise, space and security concerns, data center control, information distribution, conference room presentation, school and corporate training environments. 2. Please send back the defective goods which are within the warranty period, we will repair them or send you new one for free. 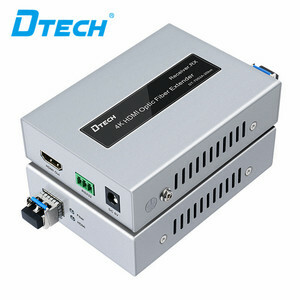 4k External IR Transmitter+IR Receiver 100m HDMI/DVI KVM Extender DVI KVM Extender, uses single UTP LAN cable CAT5e/6 to substitute HDMI cable to achieve long distance transmission, The transmission distance extends up to 100 meters under 1080P, 0~70 meters under 4K. In the same time, this extender can support infrared control signal pass through. Features Use single UTP cable (CAT5e/6, should follow EIA/TIA 568Bstandard) to substitue DVI cable to extend longer transmission distance Resolution up to 3840*2160@30Hz 4:4:4, 3840*2160@60Hz 4:2:0 Support 8KV ESD protection Support TMDS equalization and enhancement Support EDID pass through via LAN,for best compliance with most display devices Support Infrared control signal pass through via LAN By transmitting keyboard and mouse datas via LAN, it is easy to control PC remotely With customized remote button, it is easy to turn on PC remotely Specification Model No. Mode 2: The main picture of the main line in the 4-channel input, and the other three input methods are shown in the picture. Mode 3: The 4-frame H mode also shows the vertical row of the left and right frame and the horizontal row in the middle. Mode 4: Display of two frames; Mode 5: Full-screen display mode, you can select one of the four channel input as the signal source to display on the screen. 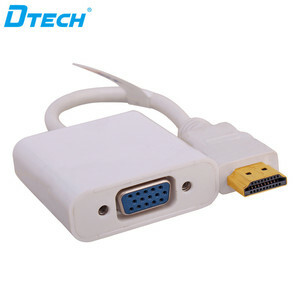 No need external power adapter VGA to HDMI Converter Model: VGA-HDm Input: VGA + Audio (3.5mm) Output: HDMI Accessories: VGA Cable, 3.5mm Audio Cable, USB Power Cable, User's Manual. 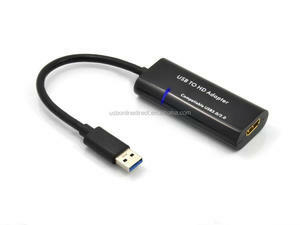 Size(mm): 72x41x18 (LxWxH) It converts analog PC VGA and audio to digital HDMI, allowing connection of PC to HDTV. It is without scaler, while supports the most popular resolutions to ensure high compatibility with wide brands of PCs and HDTVs. Support front panel button to control record start and stop. It can be used to record the movie of e-sport games or training courses. 3. Support front panel button to start/stop recording. It can easily switches three sources to one display, It not only has the key-press-switching function , but also has intelligent function. It routes high definition video (in multiple resolutions up to 1080p) and digital audio from any one of the three sources to display units. The output sends the high definition audio/video signals to a high definition display. 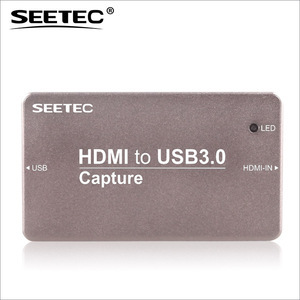 Alibaba.com offers 3,436 hdmi external products. About 4% of these are other home audio & video equipment, 1% are audio & video cables, and 1% are computer cables & connectors. 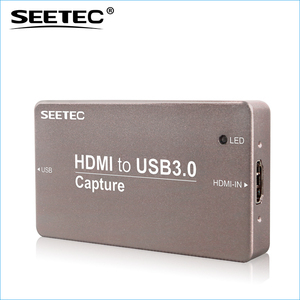 A wide variety of hdmi external options are available to you, such as twisted pair, hdmi, and coaxial. You can also choose from multimedia, computer, and dvd player. As well as from polybag, coil, and carton box. And whether hdmi external is hdtv, or vga. 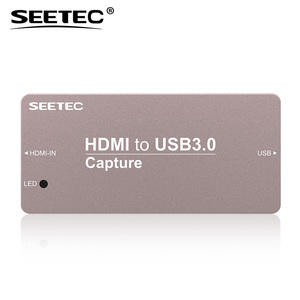 There are 3,328 hdmi external suppliers, mainly located in Asia. The top supplying countries are China (Mainland), India, and Hong Kong, which supply 98%, 1%, and 1% of hdmi external respectively. 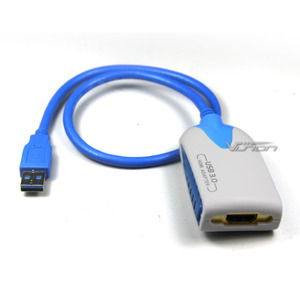 Hdmi external products are most popular in North America, Eastern Europe, and Western Europe. You can ensure product safety by selecting from certified suppliers, including 1,535 with Other, 855 with ISO9001, and 118 with ISO14001 certification.